•	The Gift Card and Gift Certificate is a prepaid payment device that comes with a set dollar value. •	It is not a credit card, charge card or debit card. The Gift Card and Gift Certificate has no associated service fees and no expiration date. 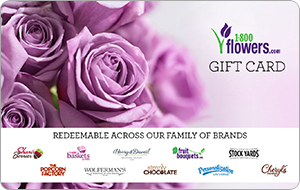 •	The Gift Card and Gift Certificate can be used at brands, retail stores, web sites and on phone orders, as listed at www.FreshGift.com.